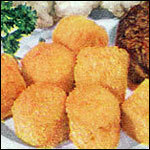 Toast a slice of bread to golden brown. Spread cream cheese over the entire slice. 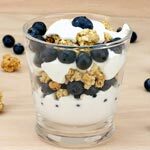 Place 9 blueberries in square pattern in the upper left corner. 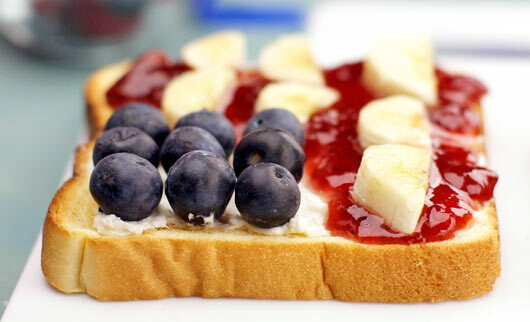 Spread jam everywhere except where the blueberries are. Take 4 coin-shaped slices of banana and cut them each in half. 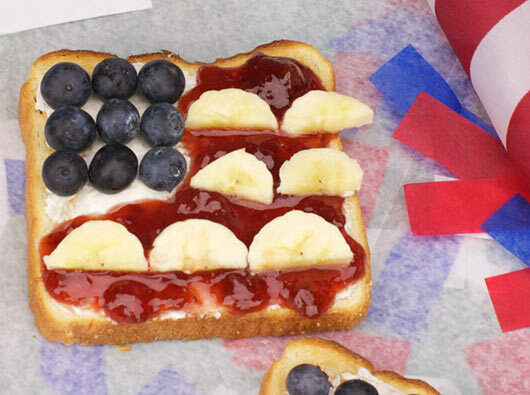 Place the banana pieces in rows to represent the white stripes of the flag. 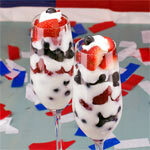 A toast to America! 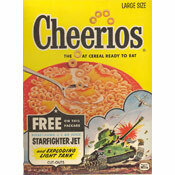 A salute to fruit! 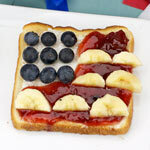 Blueberries, banana and jam are arranged on a piece of toast so it looks like the American flag. 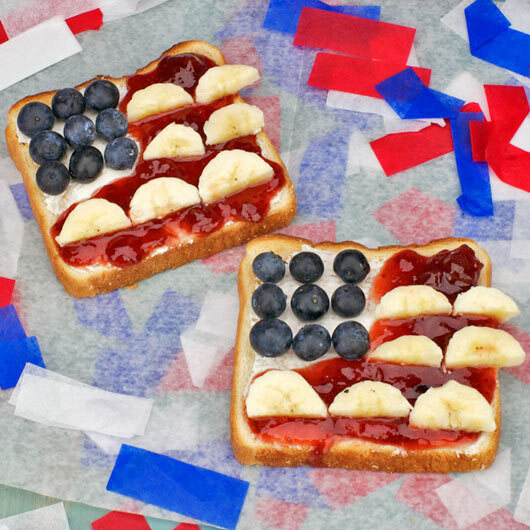 What do you think of American Flag Fruit Toast? 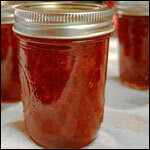 Strawberry jam and cream cheese on toast has always been a favorite of mine. Happy to take it to the next level with this one!